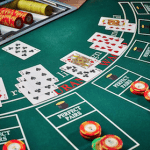 For our Canadian readers seeking answers about online blackjack play, this page covers the Internet gambling laws presently surrounding real money online casinos in Canada. We explain where you can play, why it is okay to play blackjack for real money online, and how the current legislation does and does not affect you. 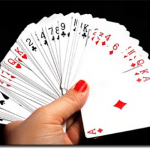 Is it legal to play online blackjack in Canada? In Canada, playing blackjack on the Internet and online gambling in general falls under a legal grey area. 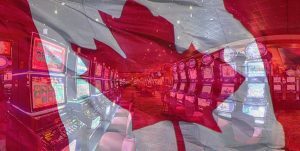 Like many other regions around the world, Canada’s existing gambling legislation, the Criminal Code, has not been fully updated to address the growing popularity and rapid rise of Internet casinos and other digital gaming options. Under the CC, gambling falls under provincial jurisdiction, meaning the local and federal governments license and regulate gambling activities and services within their own borders. Some have licensed online sportsbooks or online lottery betting services of their own (horse racing is the exception and is regulated under the Canadian Parimutuel Agency). However, the Code firmly states Canadian operators who are based in the country but not licensed by the government cannot provide interactive gambling services to residents under any circumstances. This legal stance was illustrated in 2001 when a British Columbia Supreme Court ruled Starnet Communications International, a gambling operator licensed in Antigua and Barbuda but which held an office location in Vancouver, could not legally accept bets from Canadians. It is important to point out the legislation affects the operator only – there has never been a recorded case where a Canadian player was legally punished for playing at an online casino. What the current online gambling laws in Canada do not thoroughly cover is offshore online casinos, which are gambling sites that are licensed and regulated in foreign jurisdictions such as Curacao, Gibraltar, Malta and the United Kingdom that provide sports betting and casino services, over the Internet, to Canadian players. Many sites catering to Canadians are even licensed and have servers based in Kahnawake Mohawk Territory, a First Nations reserve which is closer to home (across from Quebec) but considered a separate legal jurisdiction from Canada overall. The current legislation does not explicitly state online casino sites based overseas but accepting bets from Canadian residents are breaking the law, nor do they geo-block them or ban Canadian residents from accessing them over the World Wide Web. Until the laws are updated, Canadians can 100% play real money blackjack, slots and other casino games online without fear of prosecution. Canadians have many great choices when it comes to offshore online casinos that are regulated and trustworthy. Several of the best blackjack (and casino gaming in general) sites we recommend to players from Canada are licensed in reputable jurisdictions such as Curacao, Malta, Kahnawake and the United Kingdom, with world-class accreditation, auditing and testing from independent regulatory organisations like eCOGRA (eCommerce Online Gaming Regulation and Assurance) that enforce responsible gaming, ensure fair payouts and confirm proper operator conduct. Leo Vegas: An award-winning online casino with some of the best real money blackjack, slots and live dealer titles (over 600+ games) playable on both desktop and mobile devices with no downloads required. Leo Vegas is licensed by the Malta Gaming Authority and the UK Gambling Commission, two of the most well-regarded online gaming regulators in the world. Leo Vegas won the “Online Casino Operator of the Year” and the 2017 International Gaming Awards and is highly recommended for Canadian players given they also fully support bets made in CAD currency. Casino-Mate: With licensing in Curacao and over 700+ real money blackjack, roulette, slots and other niche games from BetSoft, NetEnt and more, Casino-Mate is the perfect example of a locally-focused site (previously servicing only Aussies) expanding to the international market with high-quality gaming experiences, and that includes Canadian players. Guts: Licensed and regulated in Curacao and Malta, Guts.com is one of the best blackjack and general casino sites we have come across in the last few years. With multiple software providers including BetSoft, Microgaming, Net Entertainment, Play’n Go, Quickspin, Guts offers one of the most diverse gaming selections in all of the world – and fully accepts Canadian players who want to bet in real money (CAD). Royal Vegas: One of the pioneers of online casinos, Royal Vegas has been servicing players around the world since 2000 and has built a well-earned reputation as a premium gaming site, with the very best in Microgaming blackjack, roulette, live dealer and slots available in both no-download and a special downloadable client and mobile app. RV is licensed and regulated by the Kahnawake Gaming Commission and accredited and tested by eCOGRA. Canadians can sign up and play at Royal Vegas in CAD. All blackjack sites and casino sites we recommend for Canadians are highly optimised for instant play on desktop, laptop, mobile smartphone and tablet, with support for all of the various operating systems and brands currently on the market – Android, iOS, Linux, Mac OS X, Microsoft Windows, Oppo (ColorOS) – you name it, it is supported. With interactive gameplay and impressive graphics, online blackjack, online slots and many more table games are brought to life on both the computer screen and the smaller, touch-based screens of our mobile devices. One key advantage of online gaming compared to land-based casinos that Canadians shouldn’t take for granted is the availability and immediacy of these experiences. Modern-day technology and software development makes it possible so that you don’t actually have to download any special software to play at an online casino – you just load up the games directly in your Web browser via Flash plugin (which is almost always automatically updated for you), meaning players completely new to online casinos can easily jump in as well. We wouldn’t be the premier blackjack site if we didn’t make some recommendations on the best types of real money 21 Canadians can play on the Internet, either for free or real money. The above mentioned online casino sites carry a diverse range of different blackjack game variants, making it easy to find the game that’s right for your current mood or preference. For instance, while the majority of online blackjack is governed by Random Number Generators (RNGs), you can also play against real people in live dealer blackjack, streamed to your device in HD video from a live studio. All games are fast and optimised for our online-enabled devices and come with premium graphics, exceptional sound and fair payouts. Test them out at any of the online blackjack sites listed in the table above. Real money casino players from Canada will find several secure banking methods to deposit money and withdraw winnings at offshore online casino sites, with several blackjack sites supporting CAD currency. MasterCard and Visa credit and debit cards are the world’s most popular and trusted payment options for digital purchases, so it only makes sense top-rated online casinos accepting Canadians will support them. Prepaid vouchers such as Neosurf and Paysafecard, both of which are sold over the counter at stores across Canada can be used as deposit options for those who prefer increased anonymity and security (an extra layer between your personal finances and your casino account). eCheck is a real-time payment solution unique to Canada that is also supported at many blackjack sites we recommend, allowing you to make payments to the casino site directly from your Canadian bank account. Virtual wallet services similar to PayPal (not supported), such as EcoPayz, Instadebit, i-Debit and Neteller are usually available for CAD players to use when the typical options are not presented. Ready to sign up and try out the games? We recommend checking out LeoVegas.com, our top pick for Canadian blackjack and casino players on desktop and mobile.